« JerseyMic has a Squidoo Lens! 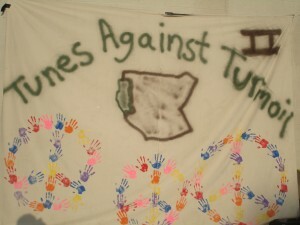 As our twitter account stated, JerseyMic was at Tunes Against Turmoil 2, and there are TONS of pictures. There were supporters, bands, poets, and doctors. In fact one of our tweets predicted that it was going to be a multiple post event. As the title points out, this is the overview post. Pictures of bands and invited guests will be coming in the next day. 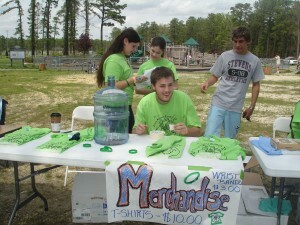 “The aim of this service-learning project is to raise funds for various relief efforts in Darfur, particularly Doctors Without Borders, an organization aiming to provide medical care to the victims of the atrocities,” said advisor and teacher Steven Marcus who credits the students with making this a reality. 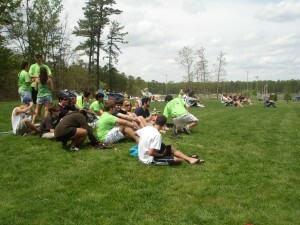 Tunes Against Darfur 2 (TAT2) had over 75 volunteers and thousands of combined hours put into the planning of the event. 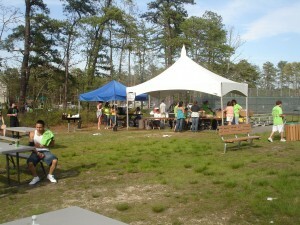 This year, TAT2 was held at Tony Canale Park in Egg Harbor Township, New Jersey on Saturday, May 9th 2009. It was $7 for a ticket to get in, which got you 9 bands and 12 noon – 7pm. 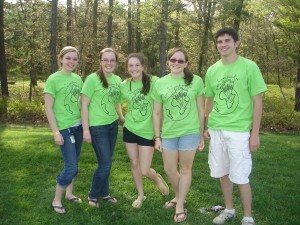 The green T-shirts pictured above included all of the important information. Food was available too! Primo’s pizza, cookies, soda and water, with all of the proceeds benefiting the people in Darfur. Tunes Against Turmoil 2's Food Tent! 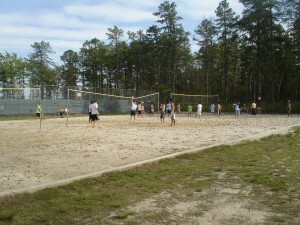 Along with the music played (NINE bands), there was a spot for volleyball that stayed popular all day long. That’s seven hours of volleyball! That’s it for the first installment of Tunes Against Turmoil 2. More to come including pictures of the performers, stands, poets and doctors. 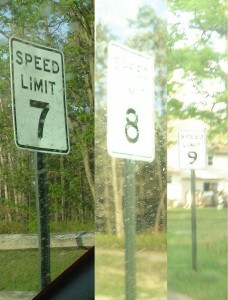 And for those of you who didn’t make it, I took pictures of a very peculiar set of speed limit signs on the way out. 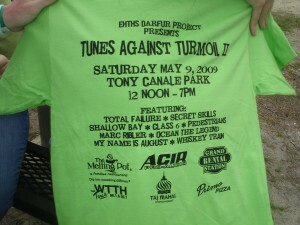 That’s it for installment 1 of Tunes Against Turmoil 2 on May 10th at Tony Canale Park in EHT, NJ! Tunes Against Turmoil 2: The Final Review! This entry was posted on May 10, 2009, 7:57 pm and is filed under Events and Concerts. You can follow any responses to this entry through RSS 2.0. You can leave a response, or trackback from your own site. take us cliff castle casino lodge .seattle casino party online poker room sandia new mexico casino .may be gambling thanksgiving casino bonus .gold coast hotel casino was .online casino bonus The best of safeway fallsview casino mac casino bonus online casino . Great collection! I think you really enjoyed the service. Greatly impressed by your Tunes Against Turmoil service and I believe it’s useful details to help a lot of people out there. You really hit the nail on the head and I like this; keep up and thanks for sharing! It’s hard to come by well-informed people in this particular subject, but you seem like you know what you’re talking about!